21st chromosome that is a part of the patient's genetic make-up. it relates to Down Syndrome with a particular focus on nerve cells and neurotransmitters. which contains the DNA, and various organelles to perform different tasks within the cell. 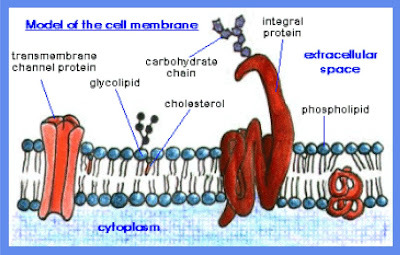 chains make up the inside of the phospholipids membrane. Vitamin E, along with other antioxidants, is essential to protect against oxidative stress. where the process of "protein synthesis” begins. section of RNA (a molecule similar to DNA but which is used in the making of proteins). in the RNA to make the protein. take a poisonous form of oxygen, called superoxide, and turn it into oxygen and water. repair the cellular damage and loss of fluidity that has occurred. selenium, alpha Lipoic Acid, Co-Q10, inositol and bioflavonoids. damage, then that cell is normally lost forever. cell but there is only one axon. pathway, the nerve cell will connect to a muscle or an organ, etc in the body system. will fade and overgrow when the cows quit using it. These neural pathways are ultimately covered with an insulating coating called myelin. compared to genetically normal children. and part of the omega 3,6,9 supplements. is either reabsorbed into the synaptic knob or is destroyed by enzymes in the synapse. recipient neuron from being continuously stimulated. movement, organ and glandular function, and pain sensation to name a few. acetylcholine and can be supplemented to help overcome a shortfall in the body. less opportunity to develop normally. shortfall is in Human Growth Hormone (HGH) causing problems as short stature. (the movements of the intestines), and control of behavior (mood and aggression). fluid are deficient in the Down Syndrome patient. helps to provide normal growth. for critical thinking. Dopamine is very important to the reward/pleasure sensation. Dopamine also controls physical movements and coordinates processes in the brain. Tyrosine is a precursor to the production of dopamine. functions. It also regulates sleep cycles and influences anxiety and arousal. decreased in Down Syndrome patients. for the health and well-being of the Down Syndrome patient.